NICE have reviewed Faecal Haemoglobin testing using FIT to triage patients with low risk of colorectal cancers. Come and discuss how your clinic can benefit from the HM-JACKarc system. There are a number of hospitals in the UK now using this technology with a cut-off of 10µgHb/g faeces, which has a high NPV for cancer (100%) and other serious bowel disease (94%), making it an effective method of reducing colonoscopy referrals. If you would like to evaluate this product in your clinic or hospital then come and talk to us. Alpha Laboratories has many years of experience with faecal occult blood testing and our experts can help support you in establishing a FIT service. We provide education, product demonstrations and logistics solutions through our FIT seminars. You and your colleagues can get a full understanding of the changing methodologies for faecal occult blood testing with a FREE on-site seminar from Alpha Laboratories’ technical specialist. Seminars are held on-site at your institute premises at a time and venue which is convenient to you, and will take around one hour. All you need is a group of colleagues who are interested in attending. 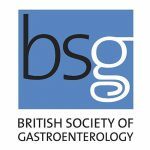 Over recent years we have run a number of popular workshops and seminars discussing the development of faecal immunochemical testing and the growing evidence for its benefits in detecting bowel disease. See below for video recordings of presentations from experts in the field plus Q and A sessions with the audience. ACB Focus, Alpha Laboratories sponsored a workshop: ‘FIT to Practice?’ which was chaired by Professor Callum Fraser and presented by Nigel D’Souza and Sally Benton. Nigel D’Souza presented preliminary data on the NICE FIT study which aims to recruit 5,500 patients from London, to evaluate the diagnostic accuracy of FIT particularly in diverse populations. In tandem with this, the study aims to better understand the limitations of FIT and recognise the potential effects of indiscriminate use. With the announcement of NICE DG30 in July 2017, the NICE FIT study has grown significantly and begun to recruit patients in non-London hospitals: it is anticipated this additional data will provide NHS England a stronger evidence based against which to make future recommendations. The testing is done by Sally Benton, Director of the Southern Bowel Cancer Screening Hub, and her team, who are conducting research into the analytical side of FIT. On the 15th November 2017, Alpha Laboratories held a Digestive Diseases Day workshop. This educational day brought together experts in the field to discuss recent advances in clinical diagnostics for gastroenterology, with the morning sessions covering symptomatic FIT, the newly published NICE DG30 Guidance and the FIT Patient Pathway. You can watch these presentations below. Clinical scientists attending the workshop were surveyed regarding the Faecal Immunochemical Testing (FIT) assays performed in their laboratories. These questions related to the topics that were covered by the speakers. Click the link below to see the results.